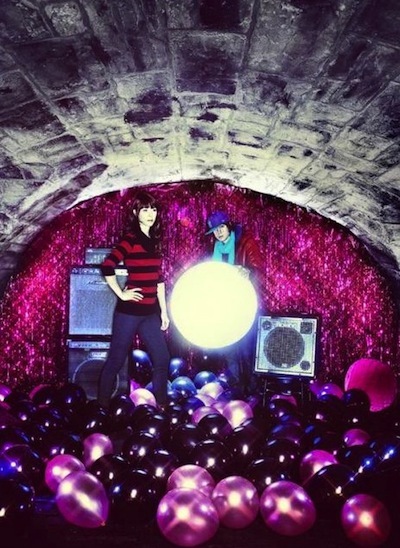 Two years after their 2008 release, Deep Gems, Glass Candy are back with a new EP: Feeling Without Touching (Italians Do It Better, 2010). With Ida No on vocals and Johnny Jewel on synths, guitar and production, the duo is here to give us another dose of their haunting disco. Glass Candy’s signature retro synths, dirty basslines and hyptonic melodies are back for your listening pleasure. Like a version of label mates Chromatics pumped up on amphetamines, Glass Candy use and abuse 80s disco pop and synth-rock to produce dancefloor friendly tunes with a twist. Based in Portland, the pair is constantly travelling around the globe to bring their music to clubs near you.